One of my favorite fashion accessory is sunglasses. They can really convey a lot about you and your personal style, yet are totally useful. The right pair is also really flattering to your face, and can change up your whole look. But, there’s so many styles of sunglasses. How do we even know where to start, and what to look for in a great pair? Never fear, I’m here to help! We’re going to be exploring several of the hottest sunglasses trends for 2016. We’re using sunglasses from Sunglass Warehouse, which were generously provided to us. 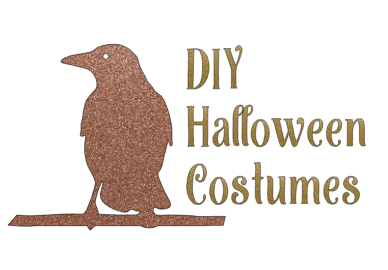 They’re great quality, really affordable, and they have a huge selection of colors and styles for just about everyone. The aviator style has been going strong for a couple years now, and shows no signs of letting up. The Tigris is a great new interpretation on the classic aviator. They’re a little more sleek, a little more modern, and slightly more bold. The fab gunmetal shade is totally modern, too. Add in polarized lenses, and what more could you want? Let’s face it – retro and vintage is here to stay. Forever. I’m kind of loving this, as my personal aesthetic is very retro modern. 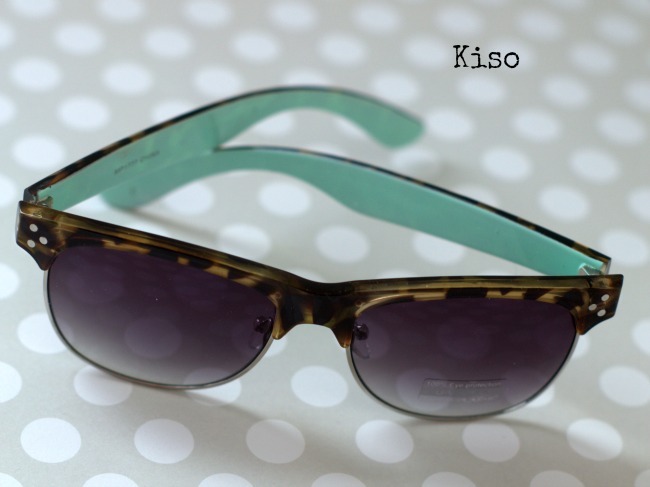 Kiso is a perfect marriage between modern and vintage. The half frames in tortoiseshell, paired with the lovely pop of seafoam-y minty green inside color is really unexpected. So fun, and so flattering, and one of the great sunglasses trends for 2016. This is another one of the sunglasses trends for 2016 that is still going strong. 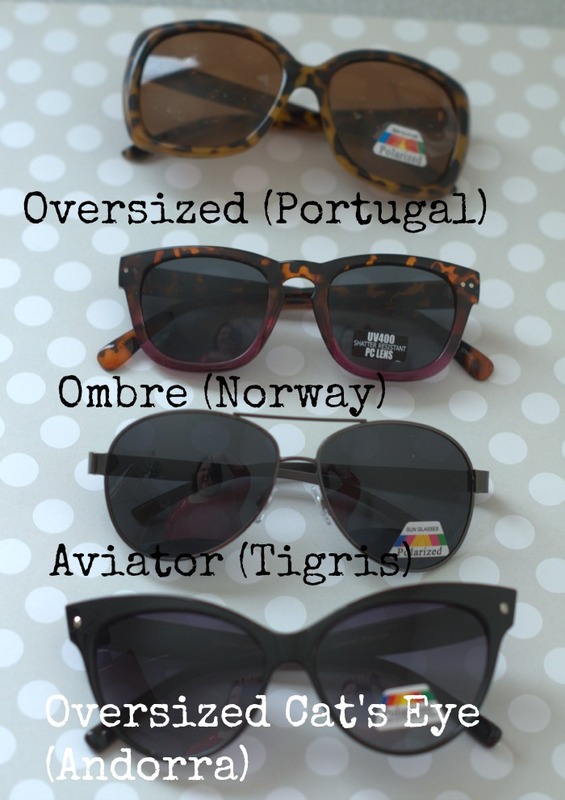 Toss on a pair of fab oversized sunglasses, like the Portugal style, a head scarf, and go for a ride in your convertible. It’s so Jackie O! Oversized sunglasses look great running errands in your sedan or SUV, too. The 1980s are back – with a vengeance. Who ever thought that would happen? One good thing about it is that there were some really great styles that, for whatever reason, died out when the 1980s were over. One of these is the great, wayfarer type style of sunglasses. They’re almost universally flattering, are great for girls or guys, and come in just about any style or print you can think of. 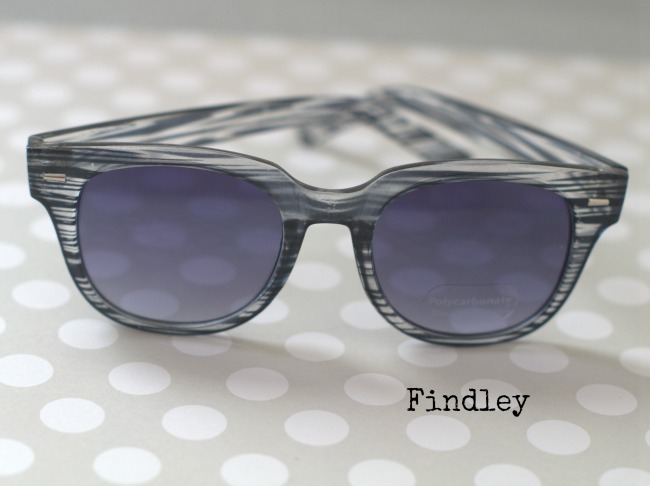 The striped pattern of the Findley or the neon shades of the Rookie style are really fun! I have to admit, I am a huge fan of ombre. I always have been, as I love the way the colors fade from one to another. One of the sunglasses trends for 2016 is ombre frames. The Norway style shows this off in a subtle and sophisticated way. The frames fade from a classic tortoiseshell to a pinky-purple shade of magenta. They’re also available in a black that fades into snow leopard. One of the newest sunglasses trends for 2016 is the oversized, very exaggerated cat’s eye. Rather than being small and sort of sleek, this sunglass trend is combining the retro and oversized into one. It’s a fun look, if you can pull it off. The key is getting the right oversized cat’s eye frame for your face. I’m digging the Andorra style, personally. Not only are sunglasses cute, they’re also good for you. They help protect your eyes from the sun’s harmful rays. Not only do sunglasses block 99% of the UVA/UVB rays, many of Sunglass Warehouse’s styles come with polarized lenses. Why do you want that? A good polarized lens helps to cut down on glare, especially on reflective surfaces. They’re also great for driving, as it helps improve contrast and helps you to see better. Sunglasses aren’t just for looks. They’re truly useful! 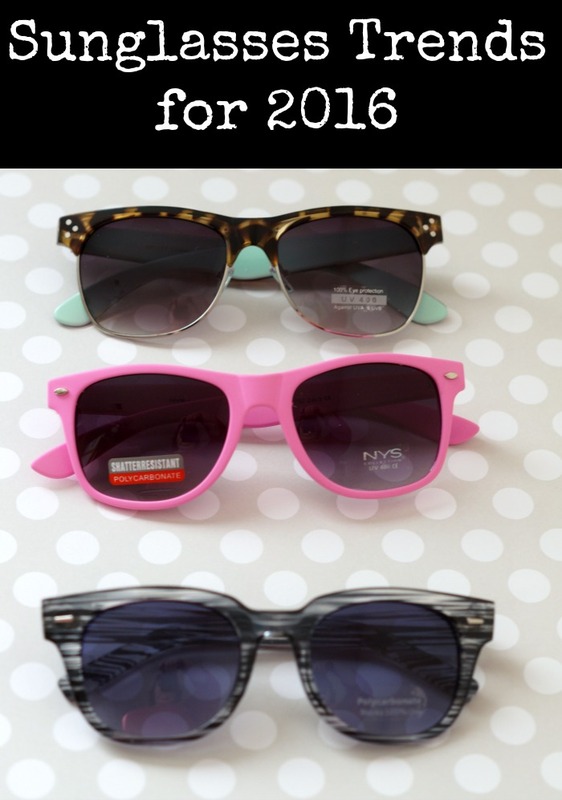 What are your favorite Sunglasses Trends for 2016? I have a few pairs of the 1980s inspired glasses. I love them! I had no idea that there were different sunglass trends for the summer! 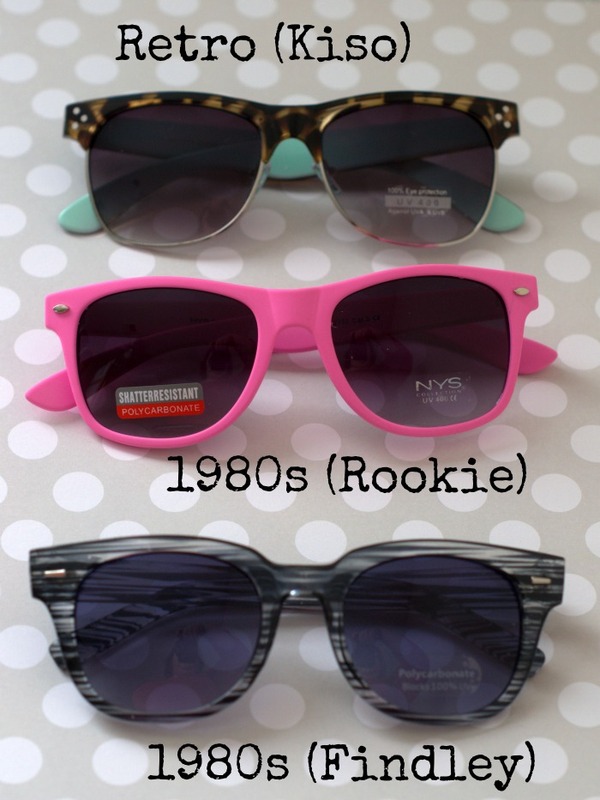 These are all cute sunglasses for summer time! Cool styles. I need a new pair of sunglasses. I just broke mine. My favorite style of sunglasses are normal oversized, retro ones. I need to try some others in 2016. You picked some great choices. I love sunglasses. The retro ones are definitely my faves.